AFPS members receive a member subscription to the print version of “Asian Journal of Pharmaceutical Sciences (AJPS)”, as a part of member benefit. AJPS was launched in 2006 and publishes six issues per year. 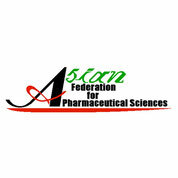 The Journal provides the forum for reporting innovations, production methods, technologies, initiatives and the application of scientific knowledge to all aspects of pharmaceutics, including controlled drug release systems, drug targeting, physical pharmacy, pharmacodynamics, pharmacokinetics, pharmacogenomics, biopharmaceutics, drug and prodrug design, pharmaceutical analysis, drug stability, quality control, pharmaceutical engineering and material sciences, in the form of expert forums, reviews, full research papers and short communications. AFPS Executive Committee members would strongly like to request all the AFPS members to submit more papers to AJPS in order to improve its quality as is for a remarkable development of AFPS.